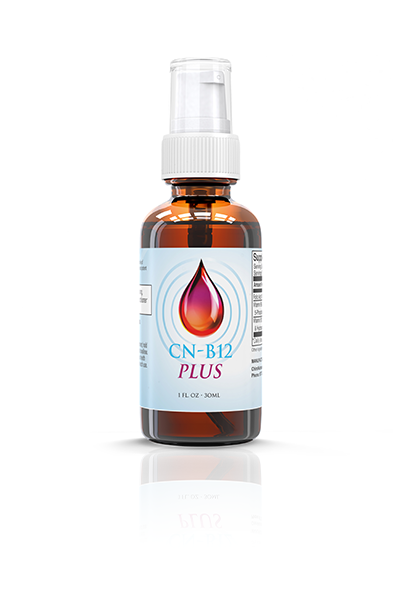 Contains The Only Active Form of B12 In The Nervous System! Japanese scientists identified a form of vitamin B12 that protects against neurological disease and aging by a unique mechanism that differs from current therapies. Some of the disorders that may be preventable or treatable with methylcobalamin include Parkinson’s disease, peripheral neuropathies, Alzheimer’s disease, muscular dystrophy and, neurological aging. Americans have immediate access to this form of vitamin B12, and unlike prescription drugs, it costs very little and is free of side effects. Vitamin B12 is a general label for a group of essential biological compounds known as cobalamins. The cobalamins are structurally related to hemoglobin in the blood, and a deficiency of vitamin B12 can cause anemia. The primary concern of conventional doctors is to maintain adequate cobalamin status to protect against anemia. The most common form of vitamin B12 is called cyanocobalamin. However, over the last 10 years, a number of central and peripheral neurological diseases have been related to a deficiency of a very specific cobalamin, the methylcobalamin form that is required to protect against neurological diseases and aging. The liver converts a small amount of cyanocobalamin into methylcobalamin within the body, but larger amounts of methylcobalamin are necessary to correct neurological defects and protect against aging. To learn more please click the download pdf button to the left. With Over 90,000 Programs Sold, ChiroThin is the #1 Weight Loss Program Exclusively for Chiropractors! I guess I’ve tried this out enough. It’s the best program I’ve ever seen. I’ve lost 40lbs, 4 pant sizes & 44 inches in the 4 months since I started your ChiroThin. We absolutely love ChiroThin. It has revolutionized our practice. Thank you for all the blood, sweat, and tears you have put into it.